First off, let me explain how the popular Wubble® brand of products – has taken the classic water balloon battle to a whole new level. Water Wubble water balloon balls seal themselves, so fingers never fumble to tie them and the battle can begin right away! Being that the balls seal themselves, these 4-year-olds had no problem getting them filled up and ready to play (after the initial learning curve of course.) There's no need to clean up balloon particles all over the floor because they splash, but don't pop. And best of all, Water Wubbles can be filled and refilled hundreds and hundreds of times – and to almost any size we desire! I must add that when you are playing on a grassy field, there will be lots of dirt that get on the Water Wubble. It's best to have a bucket to clean them before refilling them if you just want to get wet and NOT dirty. You can fill the Water Wubble from a faucet, with a hose, or in our case just dunk it under water in our portable splash pad. It actually makes a great pool toy, bath toy and the perfect take-along to the beach. We were also using it like a water pistol by squishing it in our hands and spraying water all over the other person! I saw kids very intrigued to figure out what these contraptions were. My daughter had the time of her life with them and can't wait to use them again throughout the entire summer. As with the other Wubble Ball products, you can find these at your local Target store! Now head out, grab a pack, and get going with the most amazing water balloon fight of the year! How fun! 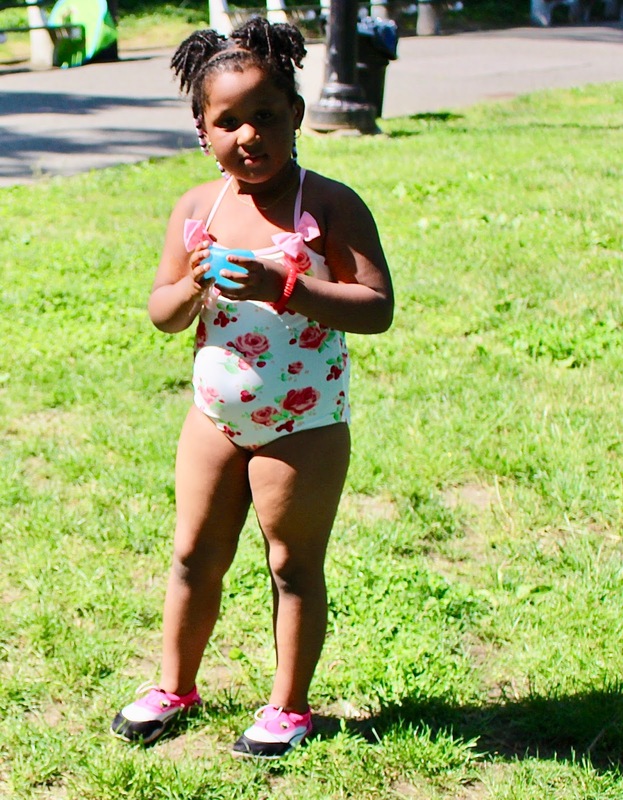 We love playing in the water and my kids LOVE water balloons. This is a great summer toy that we will need to pick up for the kids. I can see them having a lot of fun. My boys would love this!! Water play is a must in Texas! It looks like they come in different sizes. Is that right? And I love that there is no balloon mess to clean up. That's too fun! I love that these water balloon balls can seal themselves. The little ones won't have problems filling them up. My twin granddaughters love playing with water balloons. I need to get these for them. Aww! now that is a fun way to keep cool this Summer. I love the interactive play and that it encourages kids to play together. IT has been so hot here that I would love to play with that and all of the neighborhood kids! These are self-sealing?!? WHA? I need to get in on this. If I never have to tie one more "water balloon again, it won't be too soon...LOL! These truly look fantastic. My kids are the preteen age and water balloons are the name of the game. Love how awesome these look! These look like so much fun! I love the idea of not having to pick up tiny pieces of balloon from everywhere too - it's my least favorite part of water balloons. This definitely has to be more eco-friendly and more fun! All of our neighbors have swimming pools. It makes my little guy sad that he doesn't have one. These water wubble toys would be a perfect way to get wet and his mind off of the rotten neighbors. I haven't seen the water wubble brand out here anywhere. I know my daughter would love such a thing. We have already had some water balloon wars already out here with the crazy heat. Lots of fun though. 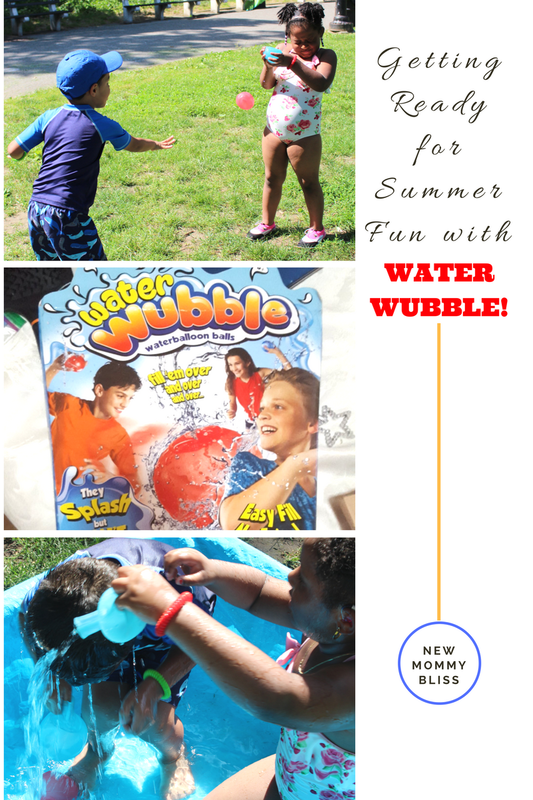 How fun and what a fun alternative to water balloons. I always hated cleaning up the mess after a water balloon fight. I am so jealous of all the new things that have come out now that my kids are teenagers.